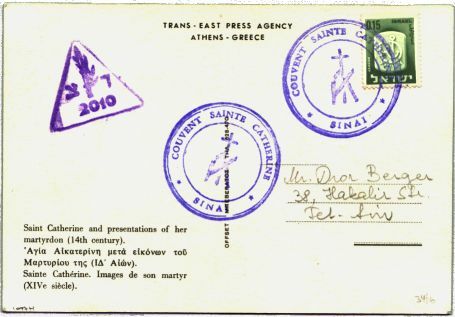 Israeli A.P.O. with St Catherine Monastery cachet. 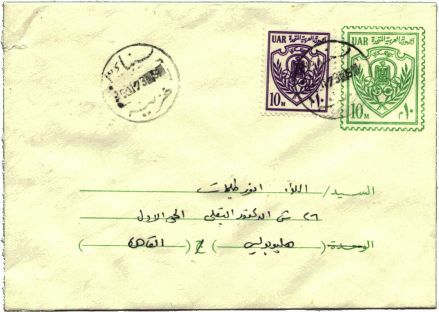 Cover showing misuse of postal stationery intended for letters sent to troops: here used by a liaison officer to a civilian with an additional 10m stamp to complete the 20m letter rate. 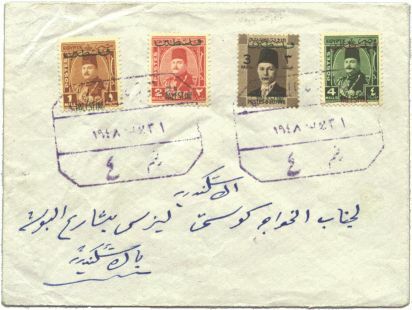 Cancelled with postmark of the 3rd Sinai Army.